Just a quick note to say I’ve received my secret Santa gift and am looking forward to opening it very soon! Will of course be letting wharvey know via PM and posting pictures here on Christmas Day. Got several Lush bath bombs (Oh I am so going to enjoy several long hot soaks!) and a frog pocketbook. The pocketbook is darling and I am already using it. Plus a cool hip flask with a feminist message. You are the other lucky one then :-) This is the most Christmasy gift, and I am so pleased that I could manage to get the delivery just before my flight to the US! Back from being away for a few weeks! Many packages to pick up and sort through! Thank you, thank you, thank you, thank you and thank you to all my Secret Santas! Just back from mexico and there were two nice packages waiting for me. All travel related gear that will always come in handy. Thanks secret santa. I will try and post some pictures tomorrow. 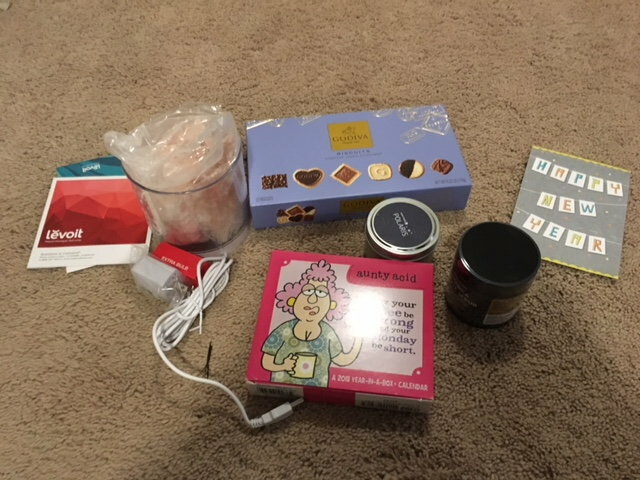 Secret Santa Dedun! went to a great deal of trouble to get me a book that I have been coveting to plan an upcoming trip to Portland-after several attempts to send the book to my Kindle account without success, she persevered and got me a hard copy which was waiting for me today-thanks very much! I opened my gifts yesterday evening, as we do in Denmark. After the Christmas dinner on the 24th. 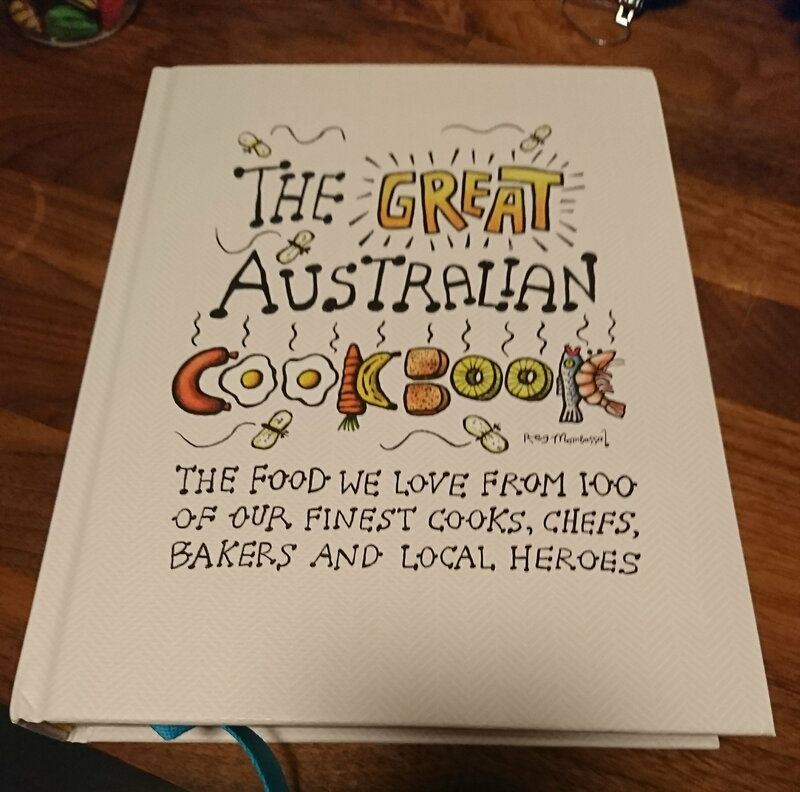 The great Australian cookbook, I paged through it already and am looking forward to get it tried out. 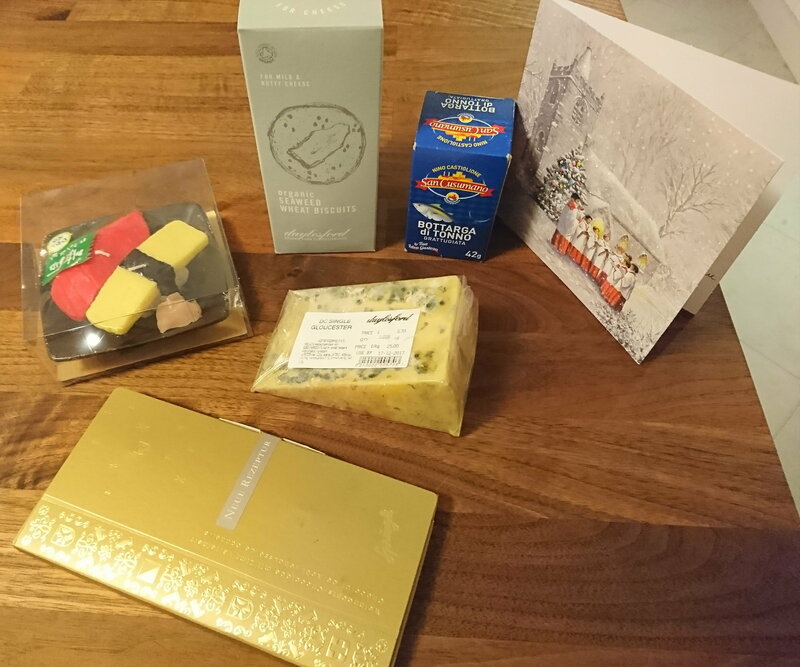 A box of mixed goodies, English blue cheese seaweed biscuits, chocolate, and tuna in oil. A European tour of yummy things. And a touch of Japan in form of sushi shaped candles. 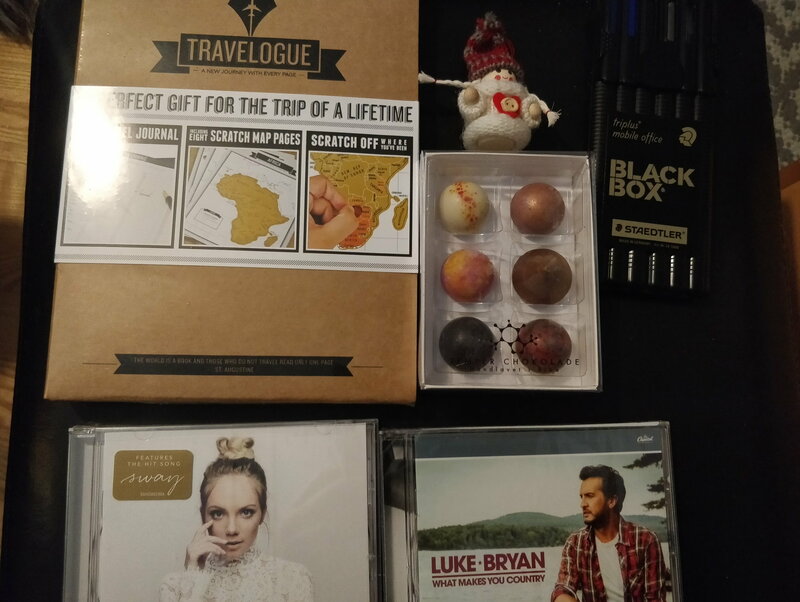 Thank you so much to both of my Santas for the lovely gifts. Several years ago, someone had the same issue. The person told me that they didn't know they had to respond. You can add your editorial content here. And now, if you'll excuse me, Mrs HeadElf53 has prepared a nice cup of (cuppa for my OZ friends) hot chocolate, with an extra squirt of whipped cream. That will go well with smoked salmon, whitefish salad, herring in cream sauce, sable, and of course, fresh bagels. Finally got to open my SS gift that arrived soooooo early it was hard to wait!!!!!!!! Fabulous calendar and I really wanted a salt lamp this year!!!!!!! Thank you for Vinnie for taking so much time and effort to do such a fabulous job!!! Merry Christmas to all!!!!!! As a follow-up to my previous post, I spent most of Christmas Eve scratching away the states where I have visited the capitol buildings. 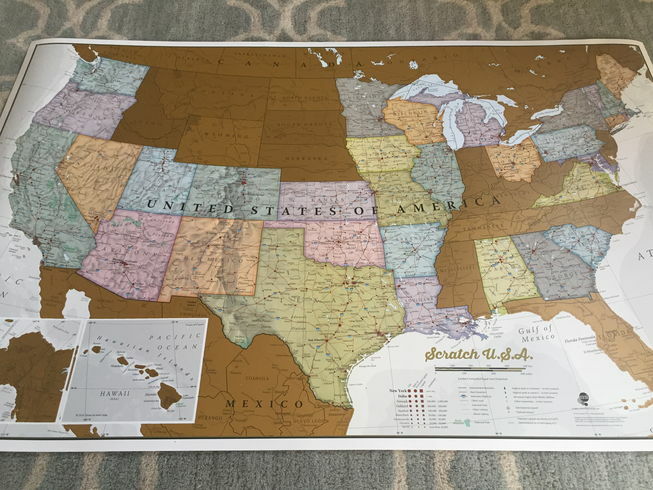 16 states left unscratched! (+1 - I forgot to scratch off Hawaii) I'm going to get it framed. Note: I have most likely visited the NJ capitol (since I'm from Jersey) but I don't count it as I have not officially visited the capitol since I started counting in 2004. And then an unexpected gift that I opened today... I said I liked the Packers and my SS surprised me with a custom sign from Etsy. 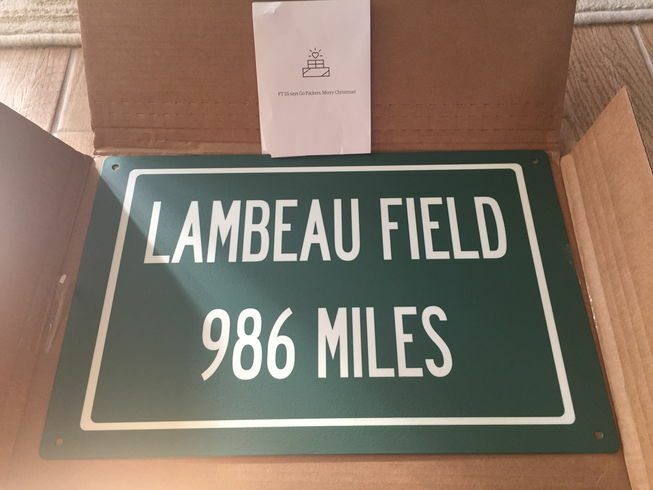 It lists the distance from central Jersey to Lambeau. I love the thoughtfulness behind this gift. 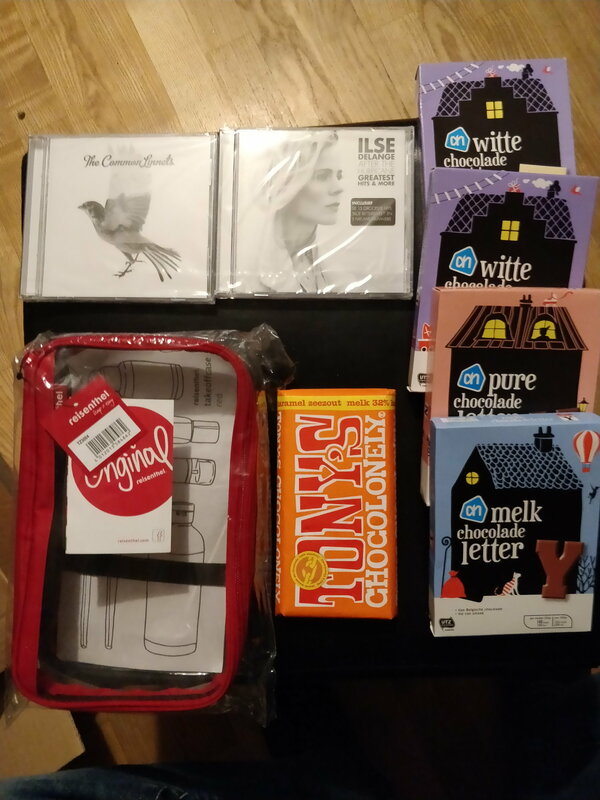 Thank you so much, SS!! It wasn't a good season for the Pack but hopefully we come back with a bang in 2018. It is now after 6 PM on Christmas Day, and Mr. Kipper still has yet to open his gift from one of my Santas. Seriously? Can I just open it for him now? Opened my last gift today. 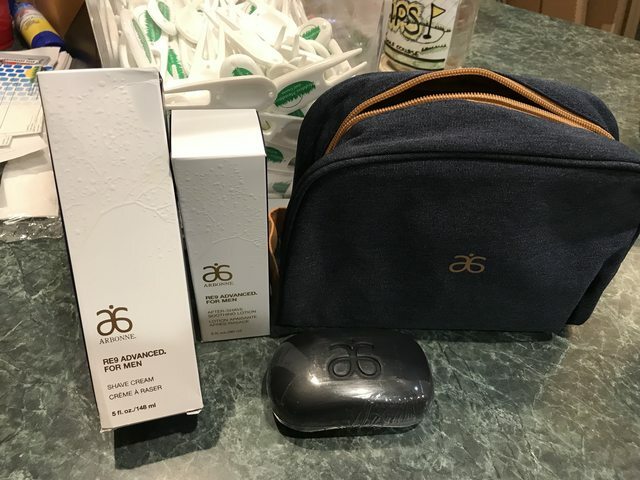 A men's grooming from Arbonne.